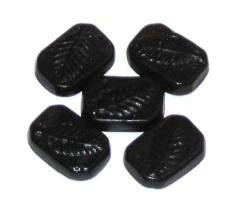 Laurierdrop is a sweet, chewy licorice which contains a small amount of bay leaf extract, giving it a delicious flavor. Although these are chewy they are somewhat firm, as they contain gum arabic, making the flavor even more extraordinary! Imported from Holland. An absolute delicious licorice flavor...tho I wish it were a ..